Hello! Thank you so much for stopping by. 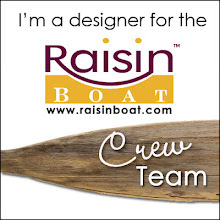 I appreciate your visit and would love to hear from you. The newest sketch is up at Tuesday Morning Sketches and I think it's really nice. A lot of elements for you to play with. 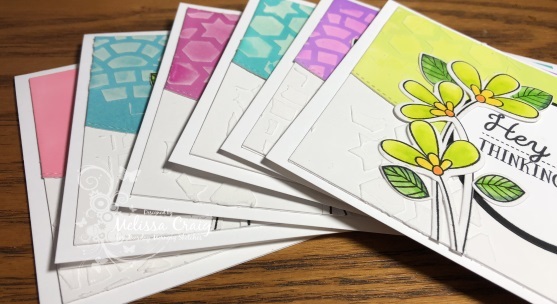 My card features a stamp set from Simon Says Stamp - it's their most recent stamp kit that I just had to have! I shouldn't have, but then I reminded myself that I don't have to answer anyone about my spending. The necessities are cared for, so why not! I love this set, this one is Choose Joy - what a perfect tip! 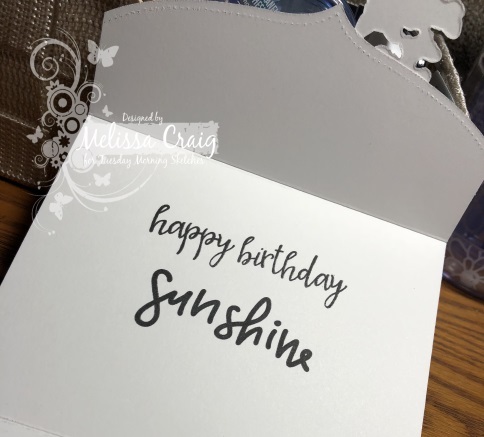 I do need to figure out how to use the MISTI for the little gingham background stamp because I didn't do the greatest job lining it up myself - but for the life me I couldn't get it figured it out on the MISTI without bending the card stock. I'll play some more. 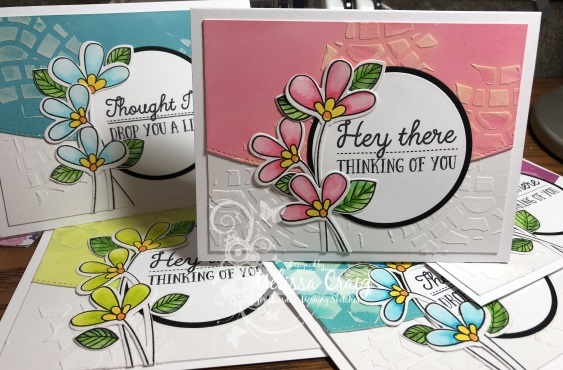 Anyway, I used Jellybean Green ink and card stock from MFT Stamps, Pure Plum ink from MFT Stamps, Twisted Stitch border die from Simon Says Stamp, Scalloped Squares dies from Spellbinders and embellishments from my stash. Hello! Thank you so much for stopping by. 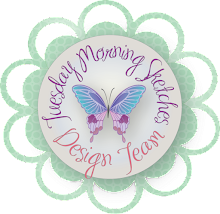 The newest sketch is up at Tuesday Morning Sketches and it's a fabulous one by Debbie. I had so much fun with this sketch, the technique I played with and was inspired by this video here. 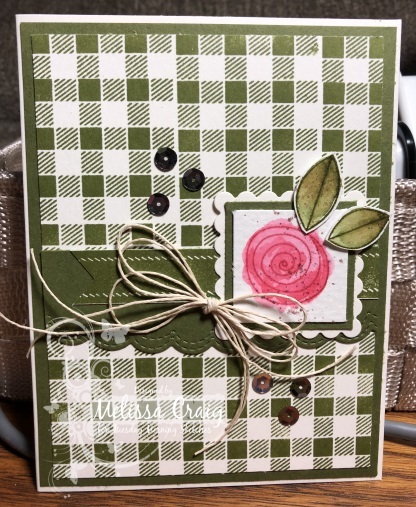 My card features stamps and dies from MFT Stamps, Distress Oxides Inks, Ranger Texture paste, a stencil by Pink and Pain and a stencil I made on my Cameo. This card shows the stencil I made on my Cameo. I love how the texture paste picked up the color from ink - Worn Lipstick. It pulled some of the yellow that is in ink and just looks so cool. I colored the flowers with my Zig Clean Color Real Brush markers. I used Worn Lipstick, Broken China, Seedless Preserves, Peacock Feathers, Wilted Violet and Twisted Citron. 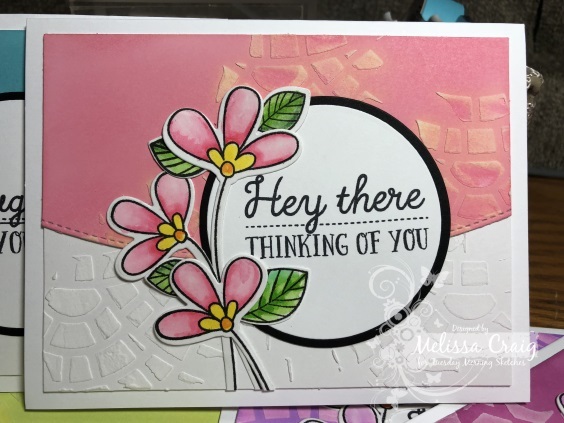 This card features stamps and dies from Pink and Main called Inspire. I used Bristol smooth paper to create a tri-fold card which also made the ink blending spread like icing on a cake. I used Distress Oxide inks in Faded Jeans, Salty Ocean and Seedless Preserves. 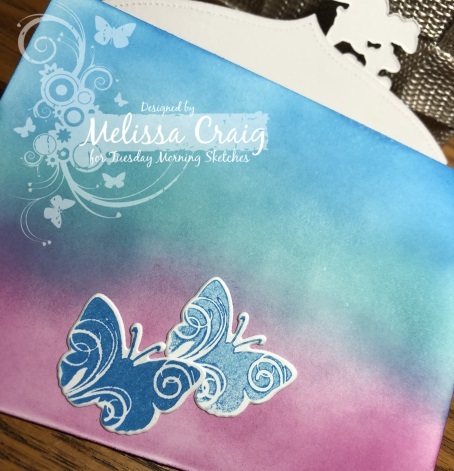 I used a blending tool to ink up my stamp with the same colors on the cluster of butterflies. 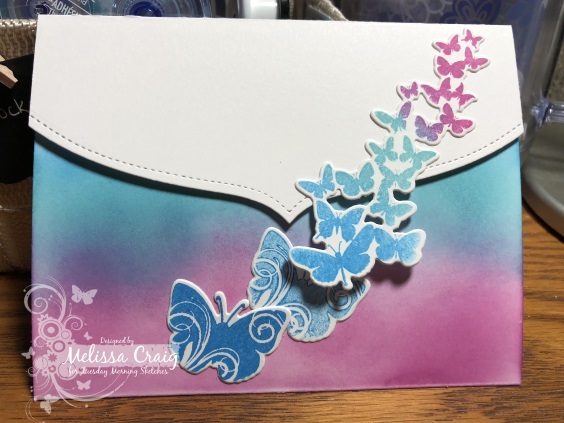 I meant for the colors on the card to go the same direction as the butterflies but I didn't think about turning the card upside down to ensure that I got it that way. Oh well, I think this way it looks like the blue is the sky on the lower part of the card. And then here's a shot of the inside. This part features stamps from Concord and 9th and Hero Arts. 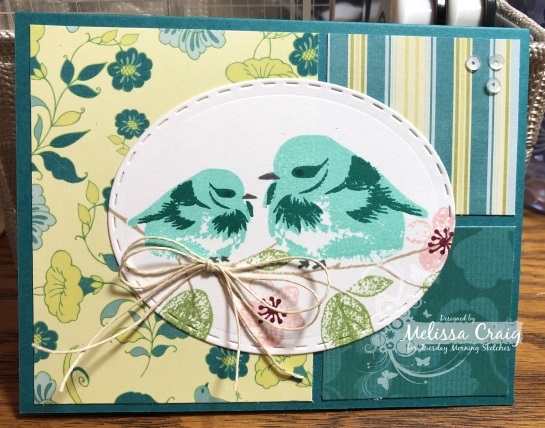 Also to create the top flap, I used a die from Papertrey Ink. 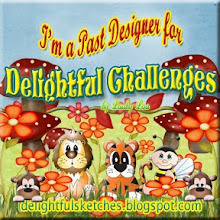 I hope you enjoyed my card and it is some sort of inspiration for you. 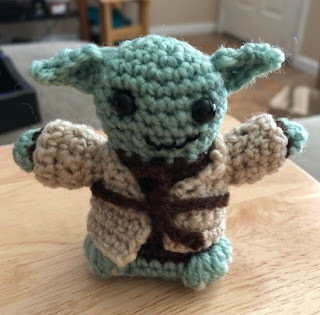 Oh, if I can just another minute of your time, I wanted to share my latest amigurumi project - this is part of the Star Wars collection by Lucy Collins that I am making for my son. My sister's comment on him when I shared on Facebook - "amazing, he is." I think he's pretty cool! Hello! Thank you for stopping by. The latest revisited sketch is up at Tuesday Morning Sketches. 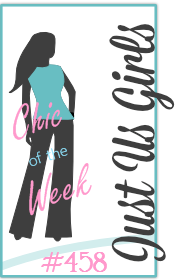 This one is Jenee's pick. This is a great sketch although color blocking is challenging for me - which this card sketch screams color blocking. 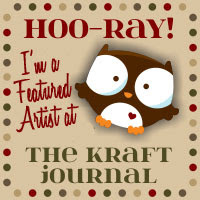 My card features a new stamp set by Papertrey Ink called Brushed Birds. I also used their inks Tropical Teal and Hawaiian Shores. The branch and flowers are from a Concord and 9th stamp set, Beautiful Branches. I stamped the branch using Oatmeal Cookie ink by FSJ and the flowers I used PTI Sweet Blush and Scarlet Jewel inks. The paper is by DCWV. The stamp set took a lot of practice to get it lined up. I only managed to get one of the three birds to look half way decent. I will definitely have to practice with this set more.